Not so long ago I was in the middle of painting gaming terrain for my Infinity Gaming Table. I used GW’s Skull White undercoat as this is the base colour for all the terrain. As you can imagine my stockpile of White was depleted pretty fast. 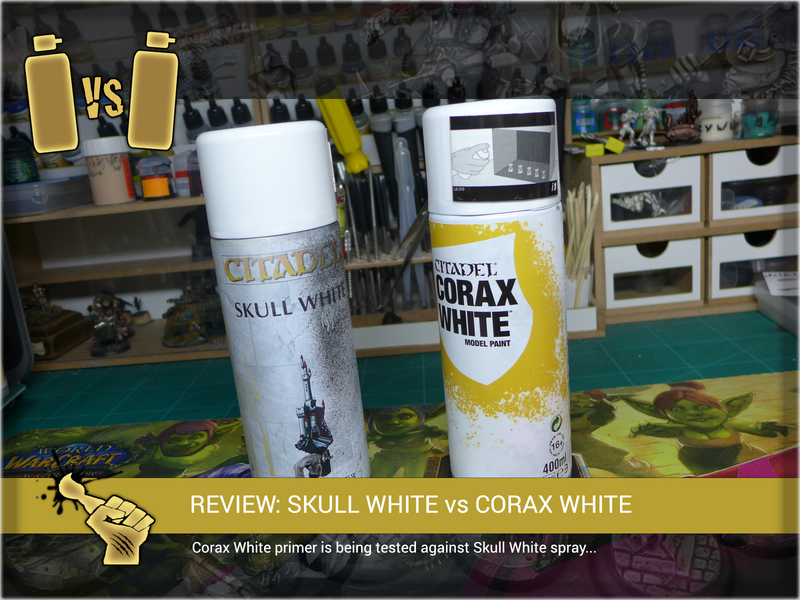 In search of Skull White Spray I visited couple Online Stores, but everywhere I checked – Corax White was the only available ‘White’ undercoat. So I made my mind and ordered three cans. 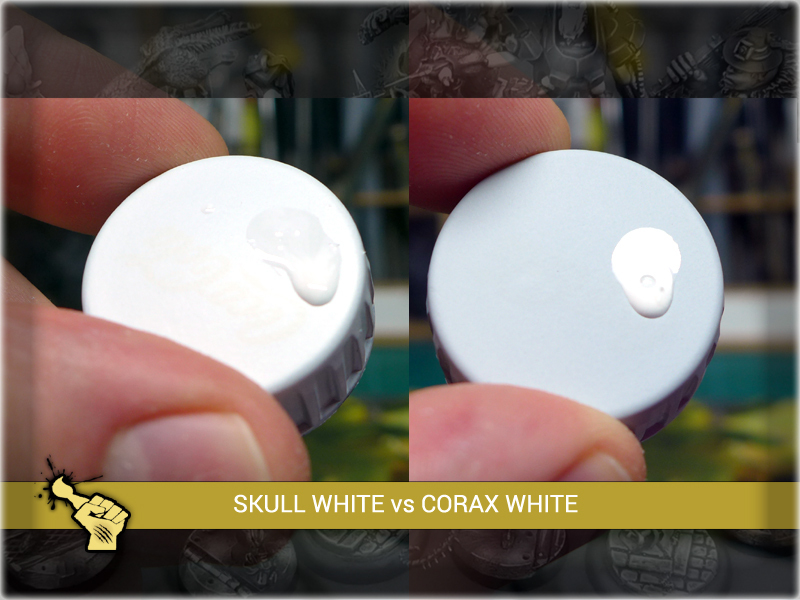 I received the package two days later – started undercoating right away… and was shocked with what I saw to a point where I just had to review Corax White. 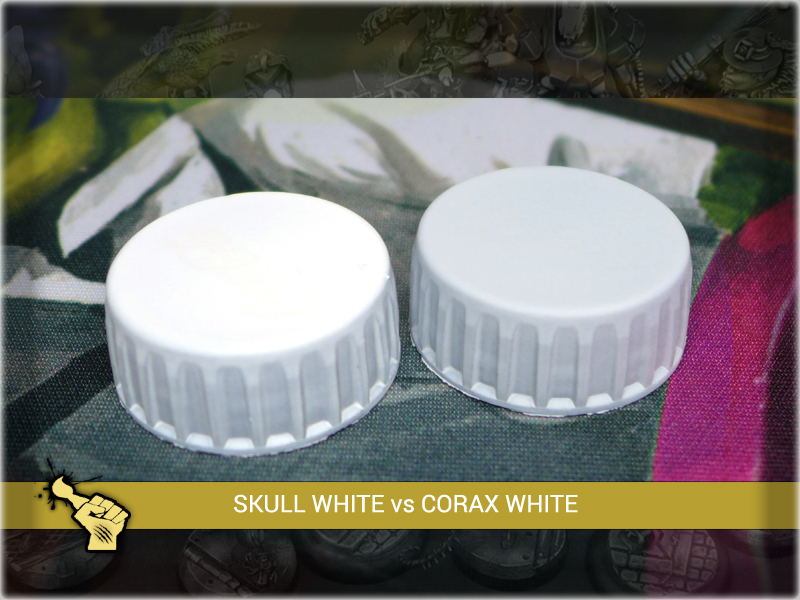 At some angles Skull White is 1:1 match for the Dead White, while Corax not-White is something totally else. 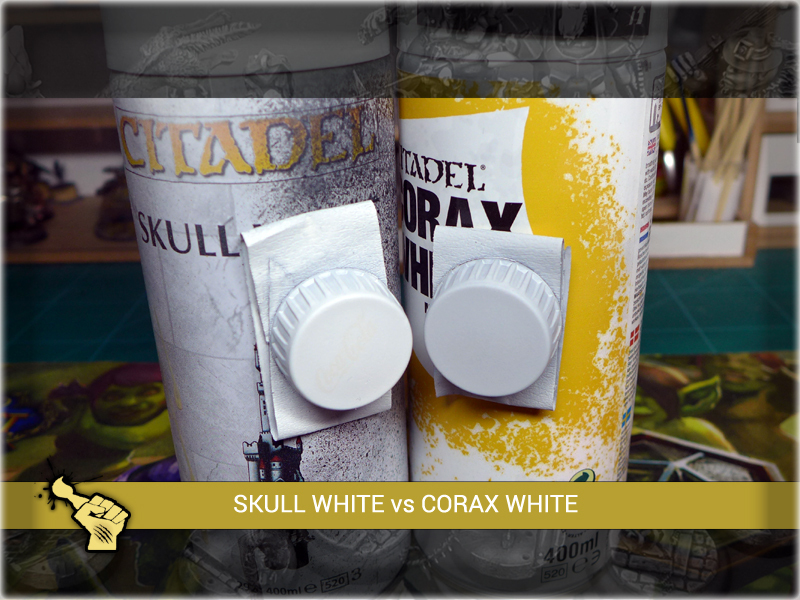 Games Workshop’s Corax White is a big step forward when it comes to coverage and way of applying the spray. It is very user friendly and may be used to achieve great results. 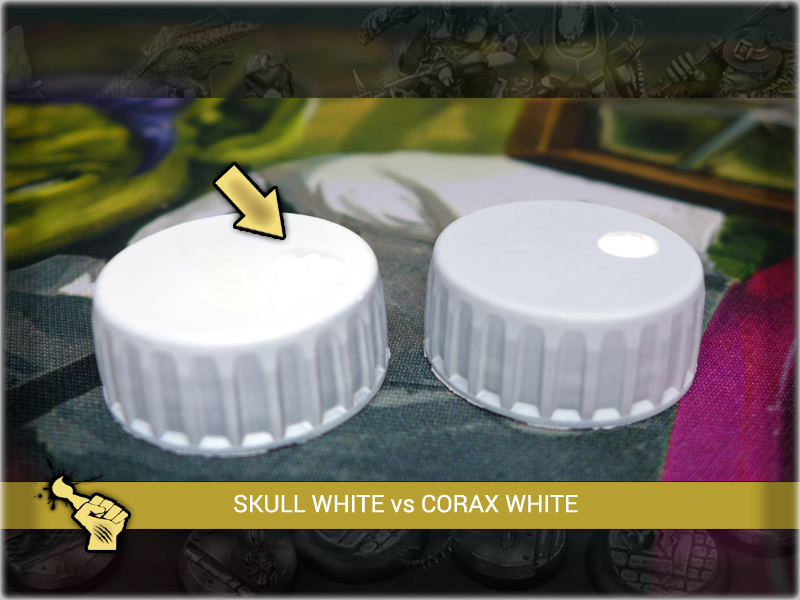 Still removing Skull White from the offer while introducing Corax White was an unfair move – because Corax White IS NOT WHITE AT ALL. Be aware before you happen to purchase! 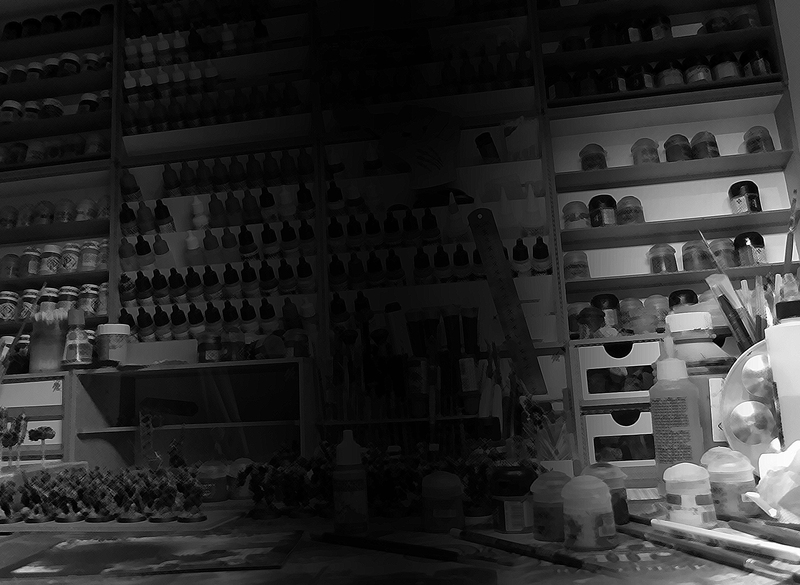 For all those of you who happened to paint an entire army/project using Skull White and run out of stock in the process – I strongly recommend a purchase of Army Painter’s White Primer instead. It is a bit stronger than GW and the layer it produces is also less grainy – but atleast it’s WHITE! My thoughts exactly. Taken aback at how grey it was, as I was doing a snow scene and needed white snow. When I queried the staff as to how white this new paint was compared to Skull White I was assured it was most definitely white – so even they are not aware! If it is designed to be an undercoat then Skull White should have remained available. By superceding SW with this, of course people will think it will be white. I agreee it does have good coverage and it produces nice results but it is NOT white. I’m so glad I found this before base coating my army….I noticed this as well when watching a tutorial recently and so confused (when did the guy paint the grey on?) Whenever I get asked this I’m just going to forward them to this article. I thought I was going mad! Glad to see that I’m not the only one that has noticed that we’re getting grey that is supposed to be “White”.